You must be a registered dealership representative. Dont have an account? Create One Or call our office for help 217-937-1000. How would you like your dealership to have its own Auto Auction? With our Auto Auction platform and the Cloud Technology we have today you can do just that. It's this simple, give us the keys and we'll give you an offer. 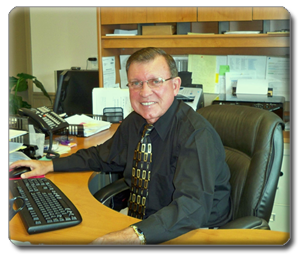 Steve Polen owner and founder of Polen's BuyBid Auto Exchange has 13 year's experience in the brick and mortar auto auction industry as prior owner and founder of Decatur Auto Auction in Decatur IL. Steve sold Decatur Auto Auction in 1997 and after the completion of a 10 year non-compete agreement started Polen's BuyBid Auto Exchange, an Internet Auto Auction platform running in the Cloud. The development of the auto auction platform started in 2007 and through much trial and error by 2011 with his 3rd business model had a program that was being well received by both consigners and buyers. During these past seven years Steve has continued to improve the platform bringing on Auto Check and Black Book Price Point along with a Mobile web-site application and full Spanish version. Polen's BuyBid has grown at a very steady pace since 2011 and with four representatives in Chicago, five representatives from North West Illinois to Southern Illinois and the St Louis Metro area. Just Google Polen's BuyBid. You can register at polensbuybid.com or call the office at 217-937-1000. Polen's Buybid has over 2400 new and used car dealers registered throughout Illinois and looking forward to the future expansion based in Naples serving South Florida starting January 2019.